Renny Miniature Rose has a lot going for it. It's quarter sized roses are flat with three rows of bright pink flowers. 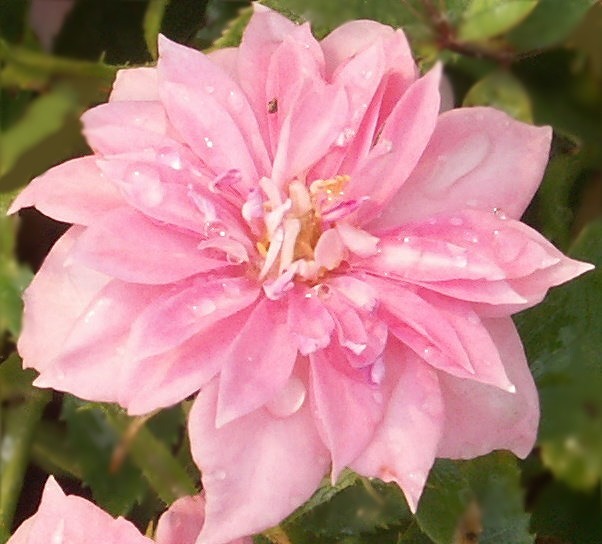 Growing in clusters of six or seven the roses show different shades in the same cluster as old ones age to a pale pink and new ones open revealing their true color. The rose bush grows to about two feet and if you can bend over that far you will notice a mild rose fragrance not often found in miniature roses. If you pull the rose up to your nose, you will also be delighted to find there are no thorns. Renny Rose is almost completely thornless. Try planting Renny Rose with Windy City Miniature Rose in the back and Baby Austin just off set to one side. The three pinks bloom in spring and late summer and look amazing together.